CASSETTE BODY SHIMANO 9S, F COMPATIBILITY TYPE, 5 PAWLS, 3x NBK BEARINGS, ALLOY MATERIAL, FOR D462SB HUB (SYSTEM 533). 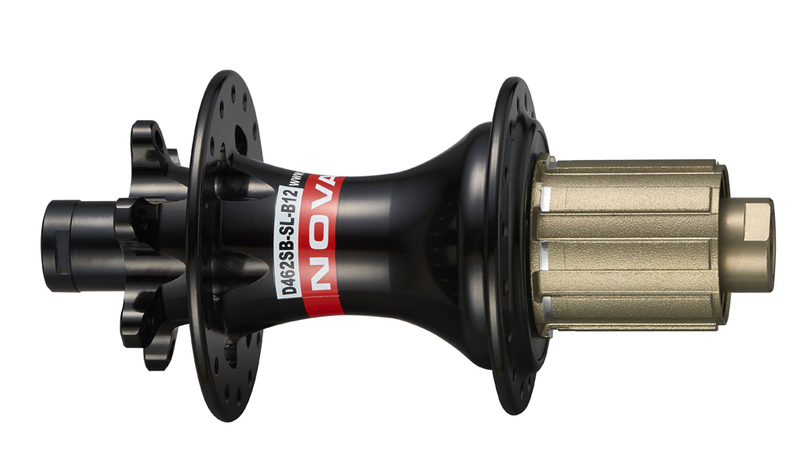 CASSETTE BODY SRAM XD, F COMPATIBILITY TYPE, 5 PAWLS, 3x NBK BEARINGS, ALLOY MATERIAL, FOR D462SB HUB (SYSTEM 533). RATCHET RINGS, 33 TEETH, PRESS-IN AND THREADED TYPE, MATERIAL: STEEL, FOR HUBS D462SB, D162SB (533 SYSTEM). THREADED TYPE WAS DISCONTINUED THREFORE RECENT HUBS ARE USING ONLY PRESS-IN TYPE OF RATCHET RING. SPECIAL TOOL IS NEEDED TO REMOVE / INSTALL RATCHET RINGS.